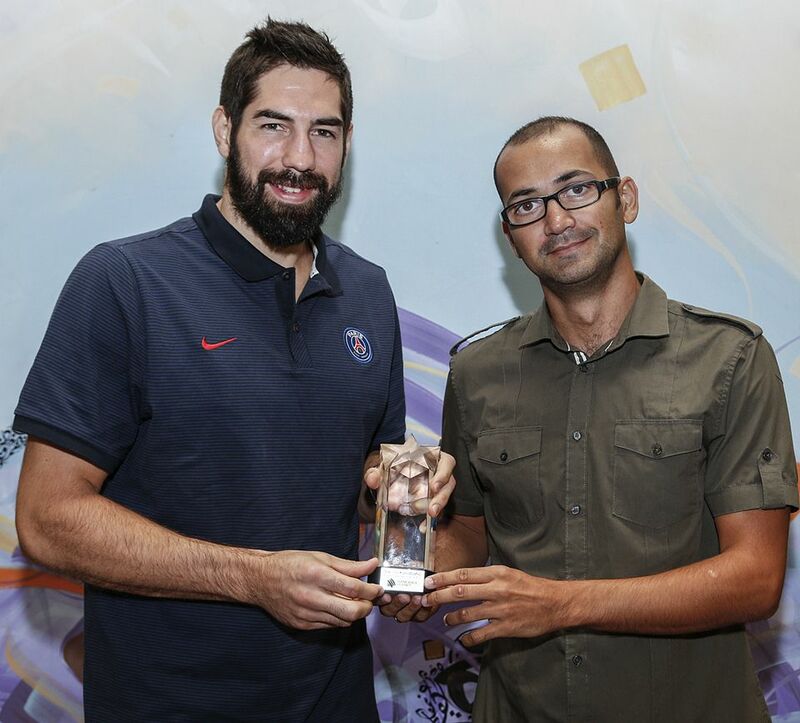 Handball-Planet.com MIZUNO WORLD HANDBALL PLAYER 2015, Nikola Karabatic, received trophy for his excellence during last year on the small ceremony in Doha during IHF Super Globe 2016. The superstar of French national team and PSG Handball had amazing 2015, with his compatriots, but also with FC Barcelona. He was a leader of the teams who won the World Championship 2015 in Qatar, but also VELUX EHF Champions League 2014/2015. That’s why decision of the Handball-Planet.com Jury consisted of 29 handball journalists all over the planet was in some way – easy. 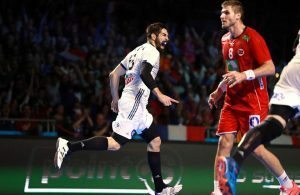 Major opinion of handball experts from four continents was supported by the numerous number of fans who voted for 32 nominated players (about 118.000 votes). – I have a lot of awards, but this one means me a lot for the second year in a row. This trophy has special meaning as it given from the experts – people who follow and know handball. 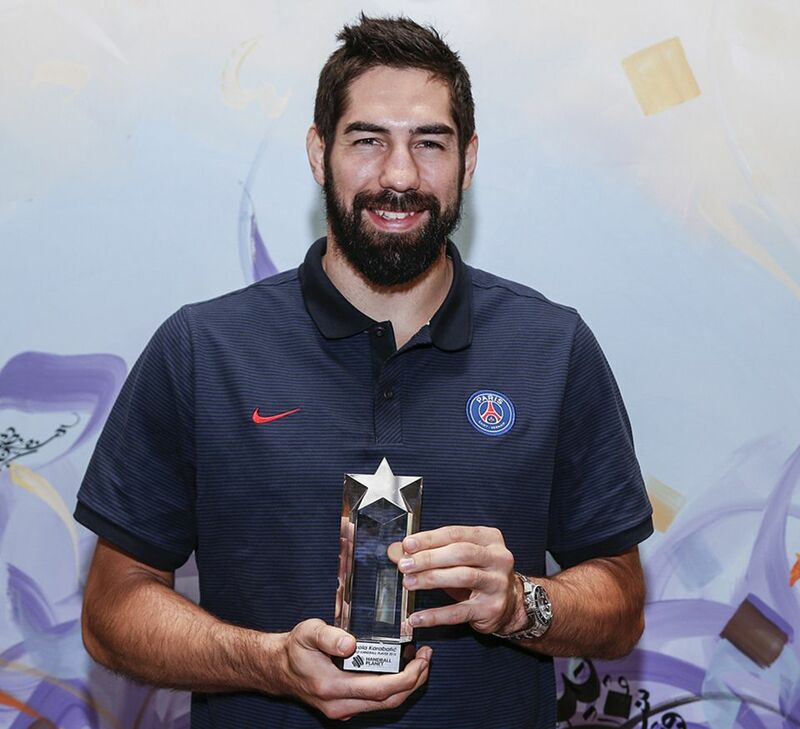 It is not maybe official like IHF, but has it’s value – said Nikola Karabatic to our editor Zika Bogdanovic, who had the honour to give him a trophy in Qatari capital as he did it in Celje for 2014 award. Despite magnificent 2015, Karabatic didn’t win traditional IHF World Handball Player title. Handball-Planet.com World Handball Player 2015 project was supported by MIZUNO Handball in a way of title sponsorship. ← Previous Story Berlin VS PSG – Reigning champions in position of outsiders?